Rip, jump and scrub your way to victory with over 35 tracks in this vastly extended version! Only the Encore edition features the brand new Rhythm Racing mode, extra outdoor Nationals tracks, and exclusive Waypoint races in open world maps. The improved game engine brings remastered HD graphics & sound, smoother online gameplay, and updated riding physics for full control. There are more than twice as many tracks as the original MX vs. ATV Supercross including free Ride mode for racing without boundaries. Over 60 professional riders to race against with all new gear and graphics kits. 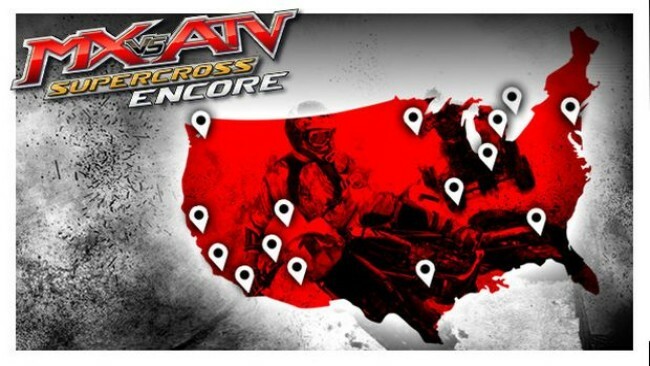 Once MX Vs. ATV Supercross Encore is done downloading, right click the .zip file and click on “Extract to MX vs. ATV Supercross Encore.zip” (To do this you must have WinRAR, which you can get here). 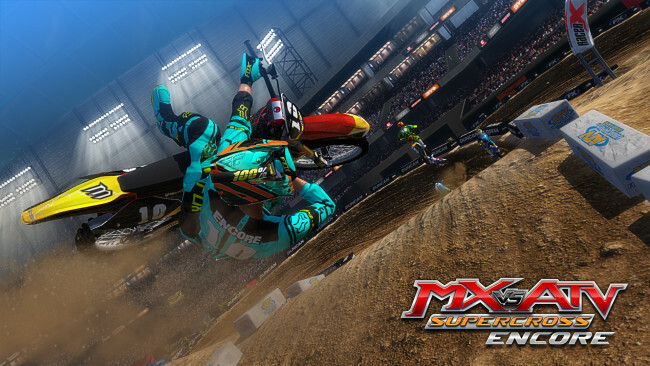 Double click inside the MX Vs. ATV Supercross Encore folder and run the exe application. 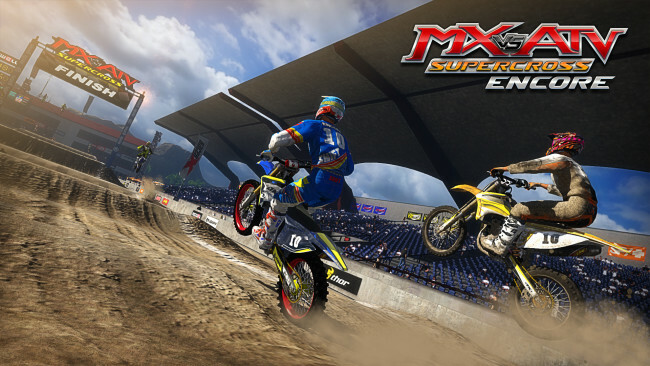 Click the download button below to start MX Vs. ATV Supercross Encore Free Download with direct link. It is the full version of the game. Don’t forget to run the game as administrator.